The Denver Office of Strategic Partnerships (DOSP) was founded to serve as a bridge between the City of Denver and the non-profit sector. The agency focuses on building individual skills and tools for non-profit and City agency staff in order to encourage the creation of cross-sector partnerships. Similar to many organizations who have transitioned to CiviCRM, DOSP was initially using Excel spreadsheets to store their data. However, they quickly determined the need of a better system to keep pace with their rapid growth and expansion of programs. They work with about 3,000 non-profits and government agencies, so they needed to manage those lists of contacts and coordinate the efforts of the staff so that everyone in the organization had access to the same information. 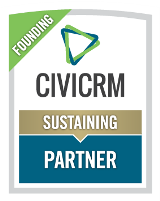 CiviCRM was the solution that would work for them since it is user-friendly, has the capability to grow with them, provides centralized and streamlined data and, as a bonus, can be integrated with Constant Contact for their mailings. Contact management, Event management, mailings and reports are all functions that got the ball rolling for DOSP to focus more on the broader picture and how each staff member’s work affects the whole organization. CiviCRM is helping answer the question of how to utilize all of their contacts and connections to work together as a team. The organization saves time and money when conducting studies, sending emails, or surveying contacts since all of the lists used for these tasks are now consolidated and easily accessible. DOSP primarily needed a database system that would grow with them and be able to manage contacts efficiently and in one location so that all staff could access the data rather than have information stored in different places and managed by different people. A bonus was that they could integrate their current mailing system, Constant Contact, with CiviCRM and create online pages for event registrations. The staff worked on looking ahead so that when configuring the CRM, they could include ultimate goals and capabilities, even if they wouldn't be used immediately. Seeing the big picture of what they want to accomplish was key to getting maximum benefit from this system. There was a lot of combining data, cleaning and deduping that had to take place with existing Excel spreadsheets to get ready for the import. One struggle they have encountered has been taking the time to enter new data into the CRM, specifically notes from meetings with the non-profits who they assist. This will improve as the new system becomes a habit. "CiviCRM has helped to break down the silos of information and consolidate the data in one accessible location." After doing some research, CiviCRM seemed like a solution that would work for DOSP since it is user-friendly and It has the potential to grow with their organization and will allow centralized data organization for all employees to access. Additionally, it can be integrated with their current mailing editor, Constant Contact.